The Kingdom of Tonga is an archipelago consisting of 176 islands, 26 of which are inhabited. Tonga is a constitutional monarchy in which civic space freedoms are constitutionally protected and mostly respected in practice. 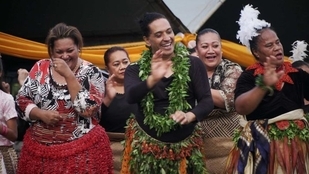 Freedom of association is legally recognised and respected in practice in Tonga. Civil society organisations are able to form and operate freely. Freedom of association is legally recognised and respected in practice in Tonga. Civil society organisations are able to form and operate freely. The process to follow when registering an organisation is relatively straightforward and is governed by the Charitable Trusts Act, the Incorporated Societies Act, and the Cooperative Societies Act. In order to obtain charitable status, the organisation’s activities or aims must be for public purposes, meaning that the benefit must be available to a large part of the community. In addition, it must not be carried out for the benefit or profit of any individual. Human rights defenders in Tonga enjoy an enabling environment. Tonga’s Constitution establishes that “All people shall be free to send letters or petitions to the King or Legislative Assembly and to meet and consult concerning matters about which they think it right to petition the King or Legislative Assembly to pass or repeal enactments provided that they meet peaceably without arms and without disorder.” In practice, protests are rare in Tonga, but cover a range of issues including opposition to international human rights treaties, the powers of the king and socio-economic issues. Most remain peaceful although there was notable violence during protests which turned into riots in 2006. The constitution guarantees freedom of the press, however, a 2003 amendment introduces some restrictions. The constitution guarantees freedom of the press, however, a 2003 amendment introduces some restrictions. Although activists and journalists are able to express their views freely in Tonga, there have been some cases where the authorities have abused their power to censor the media, through licensing and defamation legislation. In a recent case, the government harassed female journalist Viola Ulakai because she tried to obtain information regarding a controversial reform proposed by the Ministry of Education. Tonga has developed an access to information policy, however final approval of the bill is still pending.